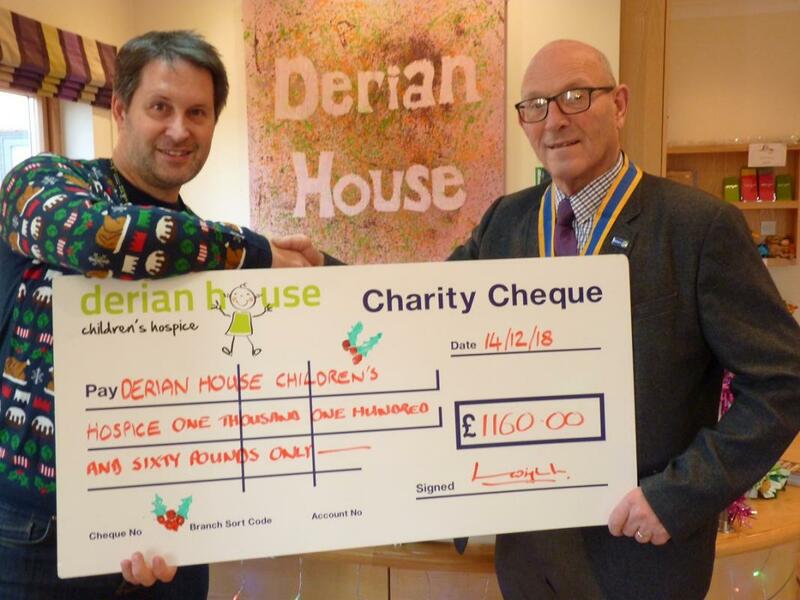 Wigan Rotary Club make a donation to Derian House Children’s Hospice. Wigan Rotary Club is delighted to donate a cheque to Derian House Children’s Hospice. Derian House provides help to children and young people, whose lives are too short, to make happy memories in an environment of fun, respect and above all, high quality care.